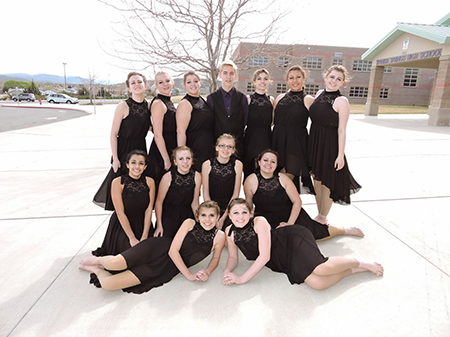 SSHS has many extracurricular activities to enrich the students and community alike. 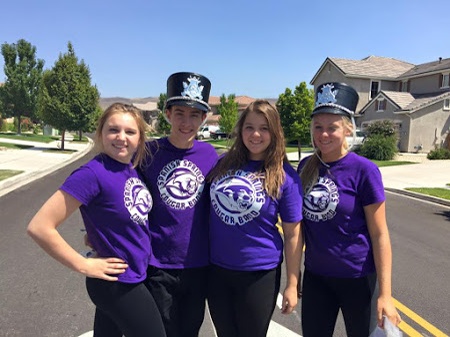 Spanish Springs High School has many different clubs for students to join, each with its own unique activities and members. Take a look at our clubs page to see what the school has to offer and find out which ones are right for you. Students come together to compete nationally in various academic subjects and general knowledge. Diverse club that welcomes all Cougars to experience various programs like peer tutoring, dance, community servie, and many other events. All students are welcome! A place where students come together to learn about and celebrate all aspects of Asian cultures. For students who want to learn to bowl, we practice every week and even compete against other schools, culminating in the High Desert Interscholastic Bowling Program Championship. For any students who wish to learn about the strategy card game Bridge. A group of studentes that get together for a non-denominational sports ministry and share in their faith and extracurricular activities. The Cougar Council is a meeting between the various club leaders at SSHS and the student council in order to ensure everyone is getting what they need. Part of the United Cougar Culture Club. Both a club and support group for students with diabetes. Come learn how to improve oyur designs and hang out with people with similar interests. Celebreating the culture and language of France. A support group and club for anyone of any sexual preference. Come find out more! Currently not active, talk to Mrs. Beadell if you're interested. For musically inclined students who love the guitar, beginners and pros alike. Key Club is the oldest and largest service organiation for high school students. Join us to help serve your community. A club for anyone interested in celebrating latin culture. A club that looks at math concepts and applications. Similar to Speech and Debate, but with a trial focus. Murals aims to beautify our school by painting various murals around the school with a focus on the local community. A diverstiy club focused on showcasing this culture to the school and ensuring that students feel like they belong. Come and celebrate the Paiute language in all its cultural beauty. Students dedicated to raising school spirit and enthusiasm and any and all school events. A very physical club focused on climbing cliffs and man made rockwalls alike. Hope you like heights. It's the National Honors Society but for Spanish speakers. All of the student officers, class and student body alike, meeting to dicuss all potential school issues. Come and practice and preform with other students who love theatre. Moved to animation club, see Mr. Bray if you're interested. 2015-16: A. Williams, A. Kaleo, J. Sorenson, C. Warden, B. Harrell, S. Gloyd, K. Kimball, D. Troyer, M. Combs, K. Mulcahy, A. Mittelstadt.